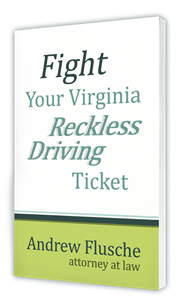 Many of my clients end up completing a Virginia driving school in order to reduce their traffic charges. This is a classic tool to work out a positive outcome in Virginia traffic cases. Your first step is to locate and sign-up with an approved driver improvement course. If you have a Virginia driver’s license, you must complete a course that is approved by the Virginia DMV. The DMV maintains a list of approved courses. You can take the course online or in person. If you reside in another state, you should be able to take a Virginia course or a course that is approved in your home state. This part is self-explanatory. Complete the course. Do it before the deadline. You should have a deadline from the court. You have to send in your original driver improvement certificate before the deadline. If you are late, the judge will likely convict you of the original charge. You usually have to pay your fine and costs by this deadline as well. When you have the certificate, just mail it to the clerk’s office for the court where your case was heard. Then you’re done! What Happens if You Fail to Appear in Court for a Traffic Ticket?